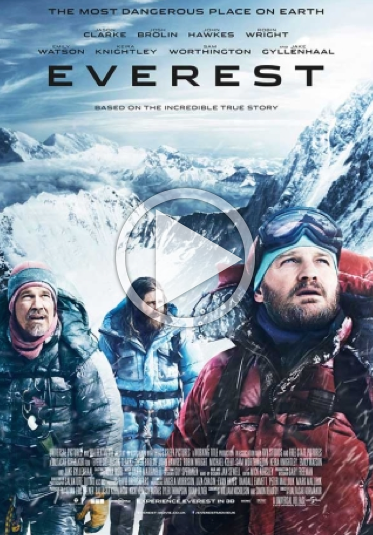 Jake Gyllanhaal and Keira Knightley star in an edge-of-seat action adventure based on a real Everest expedition. Jake Gyllanhaal and Keira Knightley star in an edge-of-seat action adventure based on a real Everest expedition. Scott Fischer (Jake Gyllanhaal) and Rob Hall (Jason Clarke) lead separate expedition groups attempting to scale Everest on one ill-fated day in 1996. Based on actual events, this palm-moistening thriller's exceptional cast also includes Josh Brolin and Keira Knightley, who plays Hall's wife Jan.